Excellent fish there Tommo - must've been exciting - thanks for great report and pics. interestingly from our lower Zambezi trip the fish I was most proud of was a 6lb off the surface on a chug bug - when I started fishing with it the gillie had not seen such a thing which made it even more satisfying. It was in a deepish dropoff around noon. 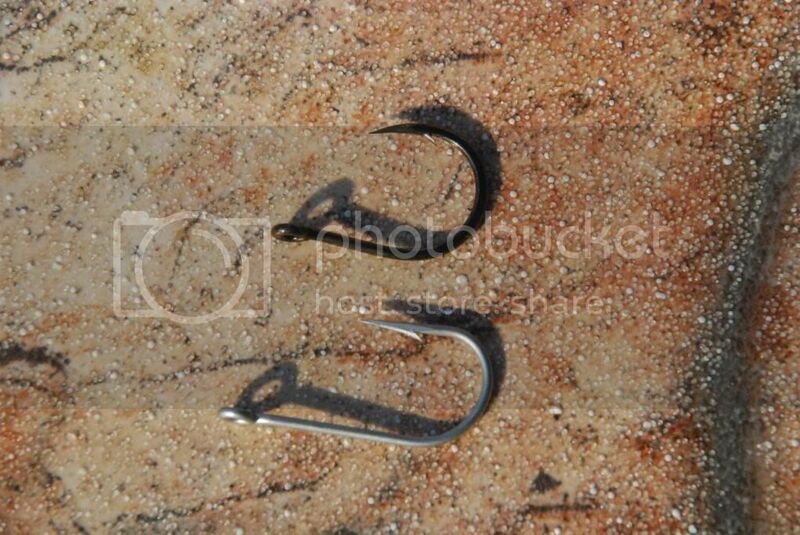 what is the latest thinking on hooks for 's there has been a big development in using Circle hooks, which I guess is akin to using the hybrid type of Mustaad Big Gun hook.